I am fiercely protective of my children. My children include, of course, Brett’s and my own Little Girl and Little Boy; as public as Bleacher Nation has made some portions of our lives, you may note (maybe gratefully ;)) that we share relatively few details and photos of our children’s lives. Parenthood bloggers, we are not. In addition to my own Little Girl and Little Boy, my protectiveness also extends to “my” school children, including every 11- or 12-year-old who’s passed through the doorway of my classroom over the past ten years. Sweet, ornery, passionate, or still finding their way, I hold every one of “my” children’s stories in my heart. Sometimes, our journeys together end the first week of June, and sometimes, I continue to hear, or even be a part of, the new stories – favorite books, hard classes, first boyfriends, new friends, and college searches. I’m honored every time my kids share their stories with me. I’ve known Max, Max’s family, and Max’s story since 2011. 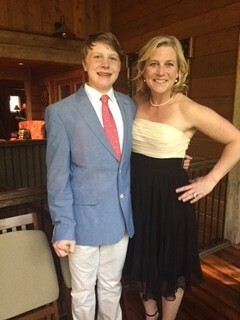 I knew Max primarily as a hard-working, thoughtful, athletic, witty kid – with a heart of gold, to boot – but also knew Max as a cancer survivor, who continued to battle lingering effects of years-ago intensive treatment. In my first year of knowing Max, I was struck by his strength and resilience, and by his family’s unceasing positivity and gratitude for the tribe that was lucky enough to surround their warrior. In the spring of 2013, Max’s tribe celebrated a huge milestone: Max had warriored his way to five years free of cancer. Though Max is now several years removed from my classroom, I have the pleasure of counting Max and his family among my lifelong friends. His teenage self will probably be mortified to read that he will always hold a special place in my heart – sorry for the embarrassment, buddy, but it’s true – you are a rock star. I am honored to share with you, from Max’s mother Kristin, the gift of Max’s story; I hope it inspires you as much as Max and his family continue to inspire me. Between now and Wednesday, July 29, in honor of Max, I will match donations (up to $500) for the BN Blogathon. I hope you’ll join me in celebrating our young cancer warriors and the joy that Make-A-Wish brings to them in their battles. Truly, it is Max’s story, but cancer, especially with a child, is a family journey. Max was diagnosed with ALL Leukemia just two months shy of his 5th birthday, and two weeks short of his sister’s 2nd birthday. Our world was rocked. Max was immediately admitted to the hospital, had surgery to put a port in his chest to receive chemo, and we were given the news that, regardless of the efficacy of the treatment, our little angel would have daily chemotherapy for more than THREE years under his protocol. Life would never be the same. Ironically, we as a family, became stronger, with clear priorities, steadfast in our love and commitment and confident that we would emerge on the other side as better people, holding up a young man who would undoubtedly be an extraordinary person as a result of his journey. There were so many bright spots along the way to Max’s survival. Friends and strangers came out of the woodwork to bring meals, support and simply offer a shoulder to cry on. We realized there was so much good and compassion in the world, which is sometimes recognized only through trials and heartache. Another ray of sunshine in our path to wellness was Make-A-Wish. 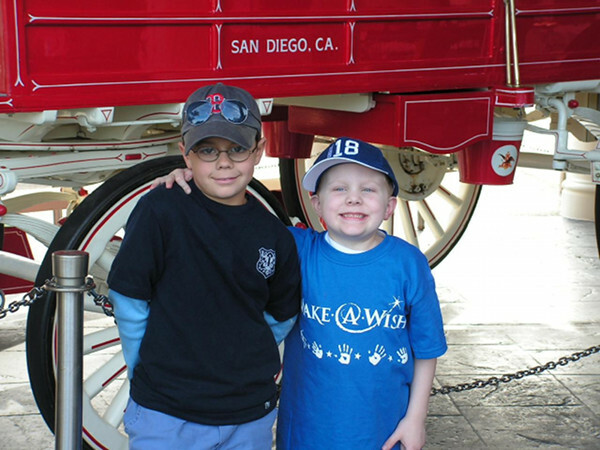 About a year into treatment, Max’s wish was granted – he was almost 6 years old. Max wanted to go to Legoland in California. His team set up a magical adventure which took us from our home in Warsaw, IN to not only Legoland, but also SeaWorld and the San Diego Zoo. There is no way to describe that escape except lifesaving. We were able to be a family and focus on happiness and hope for several perfect days instead of hospitals, life-threatening illness, and treatments. We didn’t know we NEEDED that experience until we returned with a renewed fight to live, thrive and survive cancer. 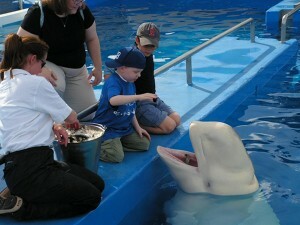 We are grateful every day for our journey, and thankful for the part Make-A-Wish played in a happy ending! Thank you Max, Kristin, Gretchen, and everyone who has supported Make-A-Wish. Here’s where to go if you want to make a contribution.